I recall first coming across one of Design Dua’s bassinets from their Signature Collection on Instagram and it was love at first sight. 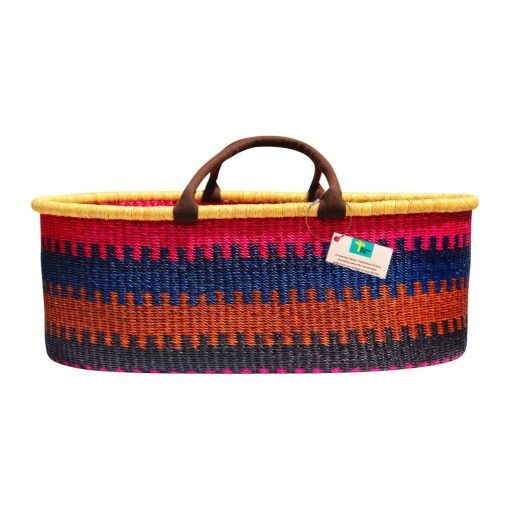 After diving a little deeper into the brand, I learned even more about how this company goes above and beyond to craft these amazing artisan made baskets. Created in Ghana, their process ensures quality that will last, with safety in mind. If you’re not exactly sure what a bassinet is, don’t worry. I get questions about them a lot, so before diving into some of our faves by Design Dua, I figured I’d shed a little more light on this! A bassinet is a somewhat optional item that some parents choose to use before they make a crib purchase. They are much smaller in size than a crib, and can be appealing for smaller spaces. 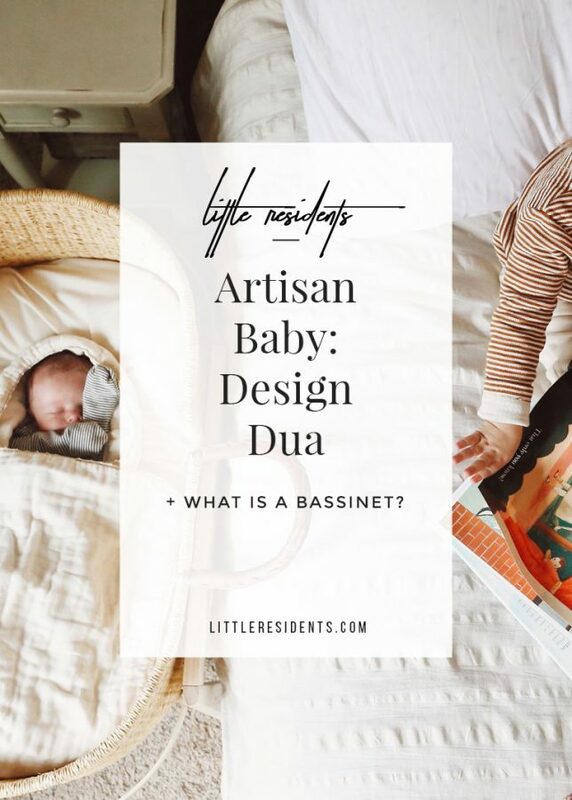 Bassinets are lightweight, which makes them easily portable whether yore settling in for nighttime sleep or lounging in the living room for a nap. They also have low sides, making it easier to place a baby in than most cribs. However, a bassinet is meant to be a short-term sleeping arrangement for ages newborn to around four months. It’s a cozy solution that doesn’t seem as overwhelming as a tiny baby in a big crib. This can be a safer alternative in the early months, preventing SIDS. After this timeframe, it’s time to decide on an amazing crib (preferably one that will convert and grow with your baby)! 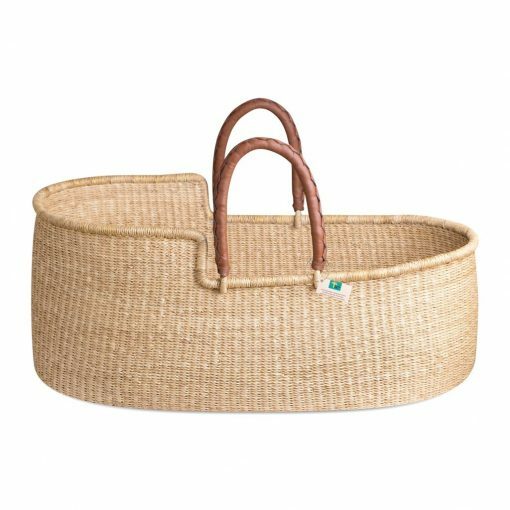 I love that Design Dua’s signature “Moses Basket” style bassinets can double as storage baskets in your home once baby has grown up. 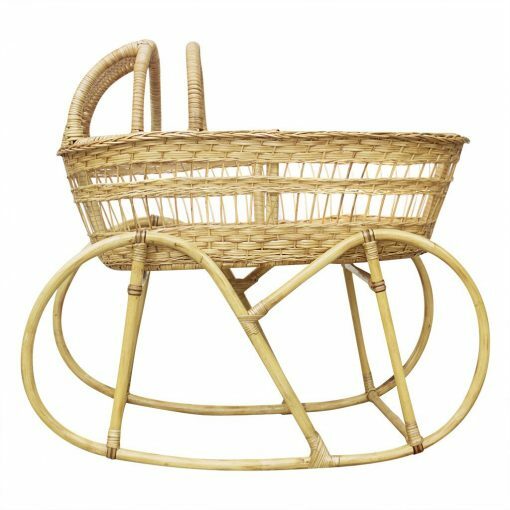 If you’d like them to be up high and rock like the beautiful vintage wicker bassinet, you can also look into one of their basket stands. Not only are their items beautiful, but Design Dua partners with local artisans in Ghana to expand the weaving industry — while also adding techniques such as steam cleaning and preservation to ensure long-lasting quality! 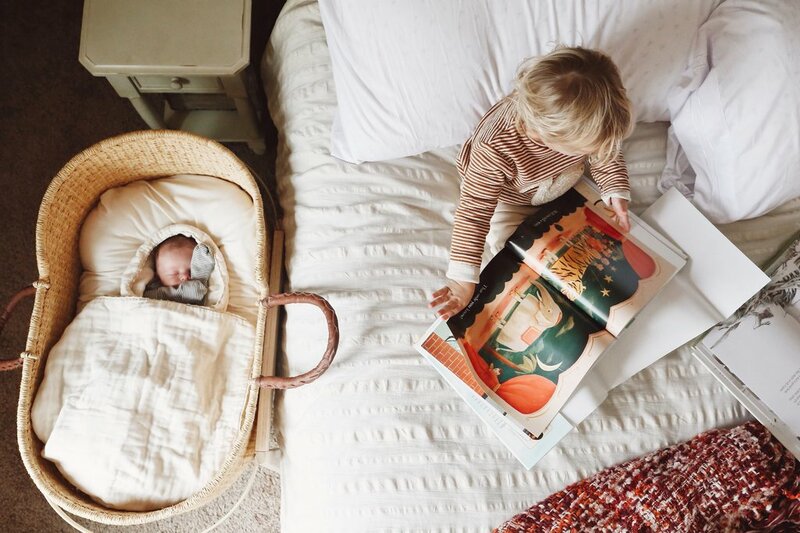 These bassinets are the perfect addition to any modern bohemian nursery! Need a little help designing a nursery for your little one? Be sure to check out our e-design and in-home services!